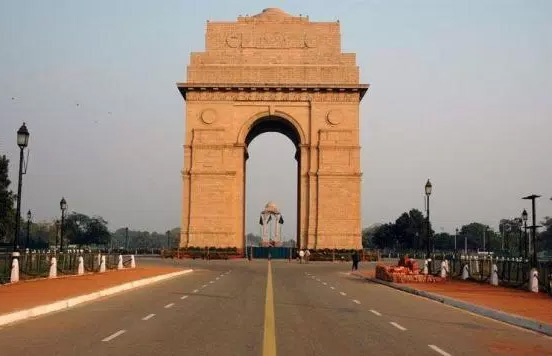 New Delhi, the capital of India, is a busy city. Every day so many people arrive here from other cities in search of better career opportunities. Similarly, there are also those people in Delhi who wish to relocate to new places to begin a new journey in their life. So, the bottom line is that relocation keeps taking place in and out of the city. In order to get things done smoothly, you need to hire the best packers and movers in Delhi and we, Mr.Move, are one of them! When you contact Mr.Move to shift your residence or office, you can rest be assured that your work will be done seamlessly as our team is both efficient and well-trained in each and every task. Relocation can be a daunting task but our team can make it easy for you with our skill and expertise as we can handle challenges really well. All your household or office belongings are systematically packed with utmost care and transported to the new location within the stipulated time. Apart from your personal belongings or office property, we also help in transporting your vehicles so that you don’t have to drive your way down to the destination. It is always ensured that no damage is done to your goods and things are carried out in a professional manner. This is why we are regarded as the best packers and movers in Delhi. In case of pet relocation, we treat the animals with lots of love and affection and see to it that they are comfortable during their travel because we know that they are very close to your heart. We have a lot of experience in pet relocation and you need not worry about anything. Come to us if you are moving to Delhi or even when you are moving out as we aim at giving you the best possible service at a very nominal price. We closely watch every step so that there is no compromise on quality at any juncture. Shifting your house? We, at Mr.Move, will be there with you at each step of the shifting process Read more..
Want to move your pet too? Don’t worry! We will ensure that your pet doesn’t get Read more.. Shifting your office? Contact Mr.Move to so that nothing goes wrong during the transit. Read more..
Are you searching for an accommodation or business premises on a rented basis in Delhi?Read more..
Live in lavish service apartments without any hassle. Your period of stay does not matter at all. Read more..
After your call, the first thing we do is book an appointment with you so that our team can come over to your place for inspection and make a note of what all needs to be relocated which includes your belongings, pets and vehicles. We will give you an estimate and book the order only if you are fully satisfied. The date and time are finalized and our team will come to the location to carry on with the rest of the steps that are packing and loading your items into the moving truck. Upon reaching the destination, the goods are unpacked and put together according to your liking and preference. Reach us and we will send our representative to your place to understand your requirements. This way we will be able to serve you better and also let you choose the relocation package based on your priority. While packing, make sure that you don’t misplace your precious belongings. Concerned persons need to be informed regarding your relocation. Keep a list of emergency contact numbers of your near and dear ones. Important items to be carried along with you need to be kept separately. Carry medicines and important stuff you would need during the journey with you. Make sure your car is in perfect condition before the travel. Switch off the main supply of the house/commercial. premises and hand over the keys to the landlord. What all do I have to take care of during the process of moving? How much time will it take to do a pre-move survey? What are the items can’t be carried in the moving truck? Planning to move to Chennai, Mumbai, Bangalore, Ahmedabad, Pune or Visakhapatnam? You can avail our services as we not only cater to Delhi but to all the other towns mentioned below too! You will get the same service from our end no matter in which geographical location you reside. Reach us and we will make your relocation experience a memorable one! Mr.Move can turn every difficulty into a cakewalk.